Lunge is one of many Weapon Arts in Dark Souls 3. It is a move that can be used with the Greatsword and possibly other Greatswords as well. 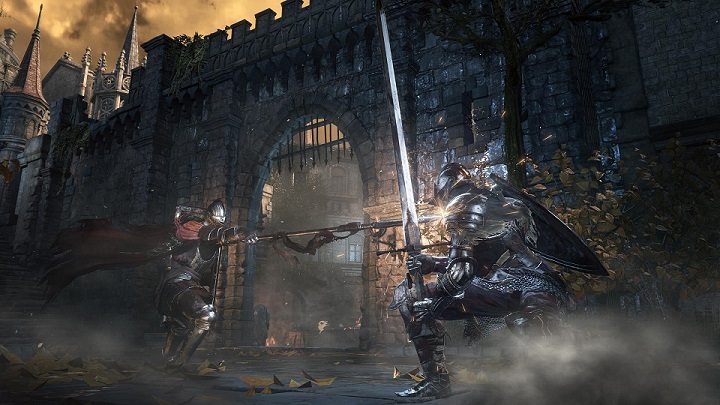 Pressing L2 while Two-Handing the Greatsword will cause the player to "Lunge" forward with his/her shoulder, and then, by attacking, the player can knock the enemy up into the air with an arcing attack. It is not known if you have Iframes during this attack or if it is simply Poise that allows you to take a hit (if it's high enough) during this attack (it is hyper armor like the one in bloodborne meaning you will never be staggered during this attack).